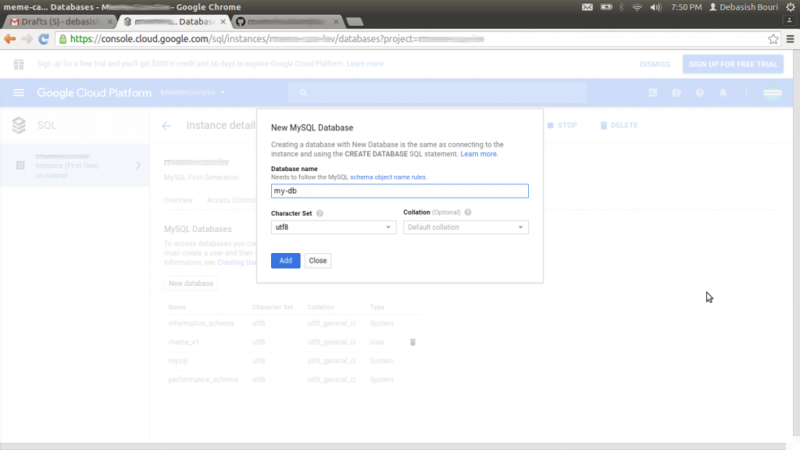 This blog post is for the people who are new to Google Cloud Platform. We find that the documentation and the code samples provided by Google are good but not best. For a person who is just started exploring Cloud things, those help materials may seemed to him/her a bit advance. We are here providing a straight forward way to guide people to deploy their first Google cloud project. We are starting with Google App Engine. 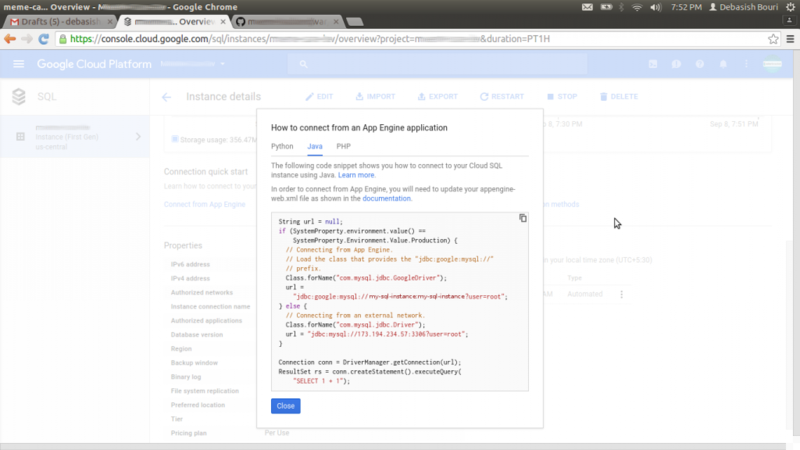 Google App Engine is a fully managed platform that completely abstracts away infrastructure so you focus only on code. If you are familiar with Node.js, Java, Ruby, C#, Go, Python or PHP, half of the things already done. Developers from these language communities can be productive immediately in a familiar environment: just add code. 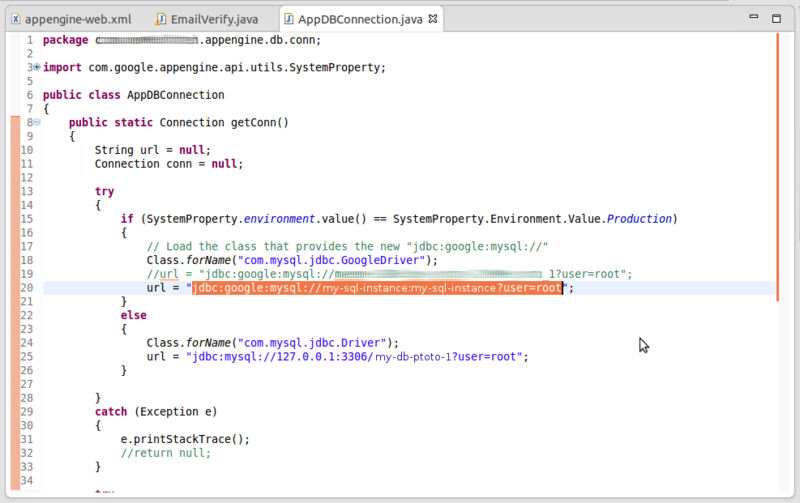 We are going to show you the way in Java perspective on Eclipse IDE. If you need help on any other language, feel free to contact us at support@colorbracket.com. 1. 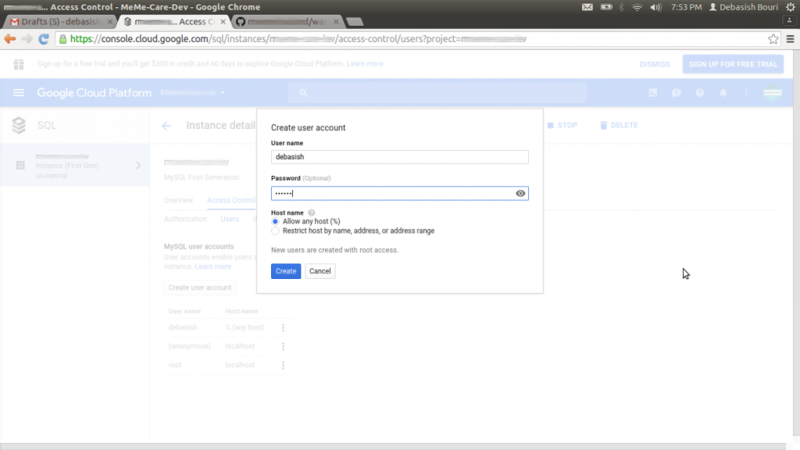 Create Google Cloud Platform project. 2. From menu items, Go to IAM & Admin. 3. From menu items, Go to SQL. Select Database schedule backup time from Advanced options. 4. 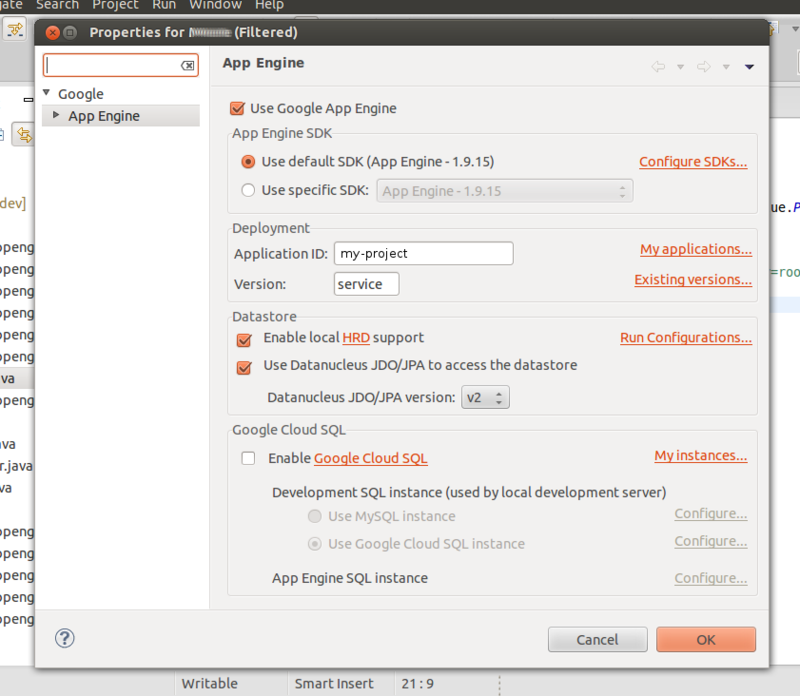 Now select the SQL instance, you just created. Go to Connection quick start -> Connect from App Engine. Go to Access Control -> Users. Create user account to connect Database. Go to Access Control -> Authorization. Add network(s). Google will allow these networks to connect the Database. 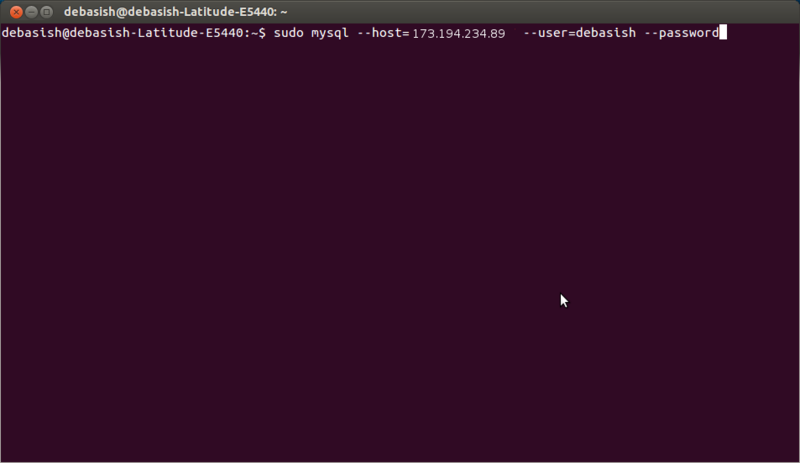 Go to Access Control -> IP Address. 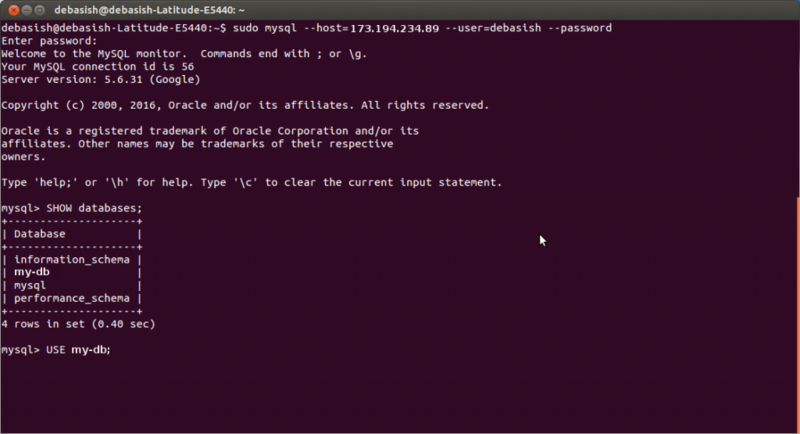 Release an IP address to communicate with your SQL instance. 5. 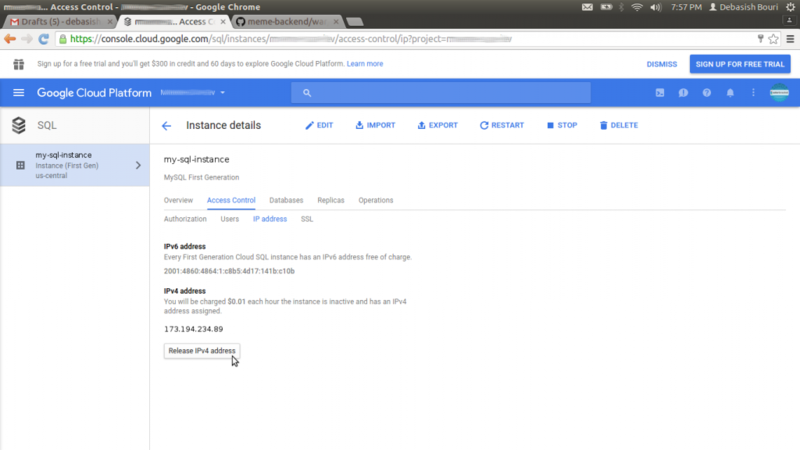 Connect your SQL instance with the IPv4 address, you just produced. Create tables as per the requirement. 6. 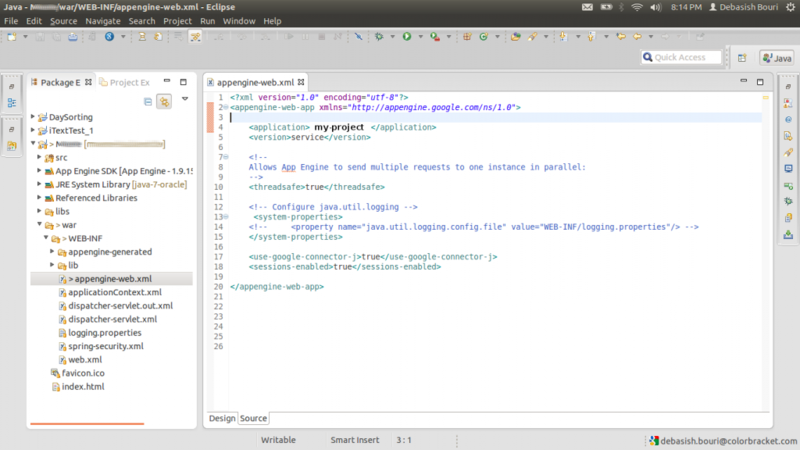 Create or import a Google app engine project into Eclipse or in any IDE. 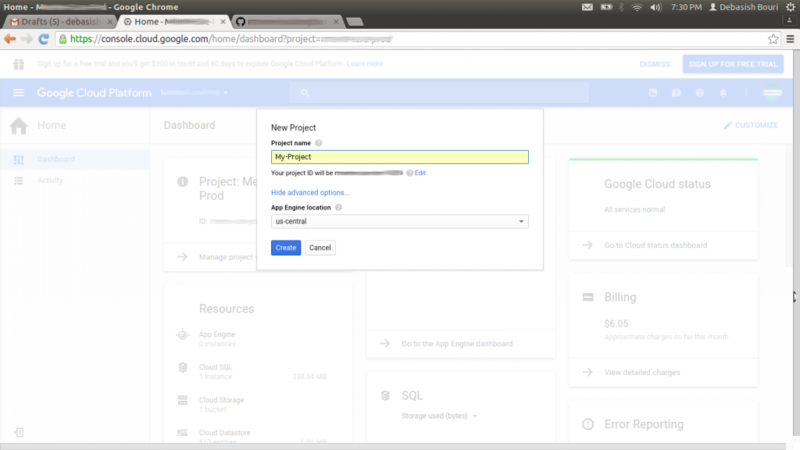 You must have the Google App Engine plugins installed in your setup. 7. 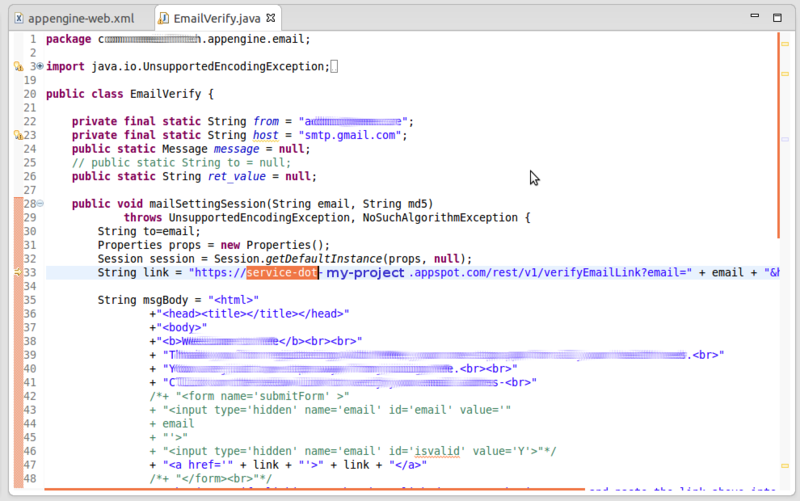 One must need to configure the appengine-web.xml file before deploying the service. The application id should be the same as it was generated during the project creation time. Version is going to be use as the Micro-Service identifier. 8. We need to use the Micro-Services API’s in our project as mentioned in the below screenshot. 9. Connect the database from your project code as specified below. 10. 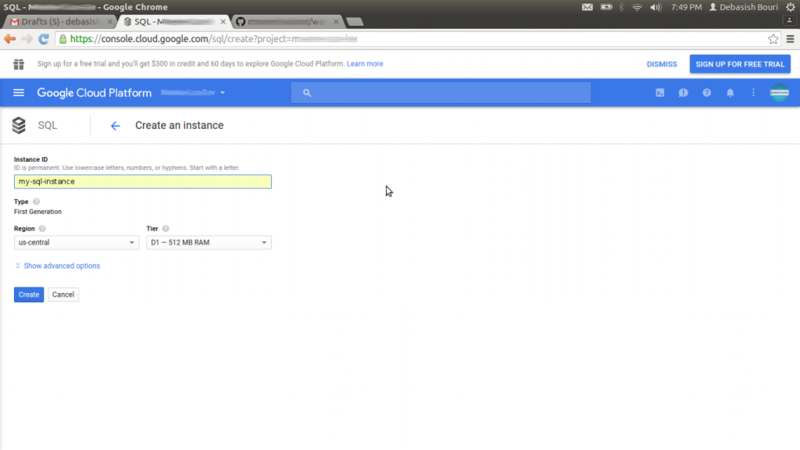 If everything works perfectly, then it’s the time to deploy the app in Google Cloud Platform. 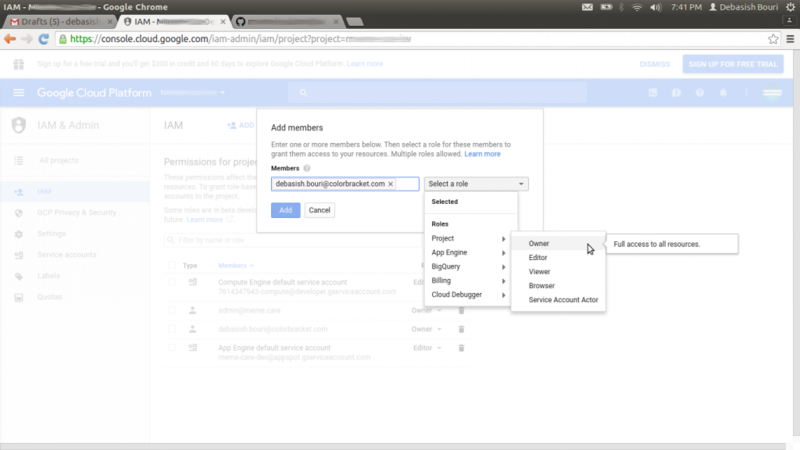 From Google Plugins dropdown menu, select Deploy to App Engine. 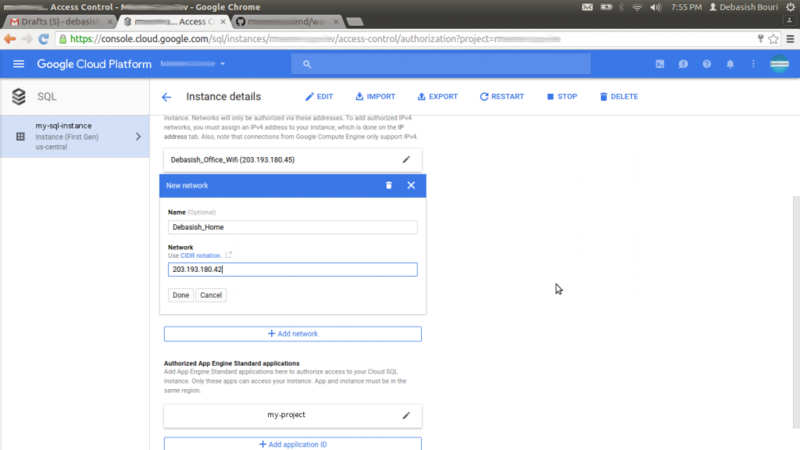 Wait for few second… your application is getting deployed in Google Infrastructure. Once done, you are ready to go.